Faretto, it is a Ceiling fan with light Spectacular, with a design inspired by the mythical Italian motorcycle Vespa 1946, that gives the Fan a retro look. Metal structure, transparent polycarbonate blades and glass diffuser. Ideal for living rooms, dining rooms or businesses such as restaurants, hotels etc. Remote control and three speeds. Colour beige. - Dimensions: High 50 cm. Ancho 131 cm. - 3 adjustable speeds with a Consumption of 14-25-57W and 90-130-190 revolutions per minute depending on speed. - It has reverse capability for summer and winter use. To achieve better comfort while reducing energy consumption, this fan includes reverse function. 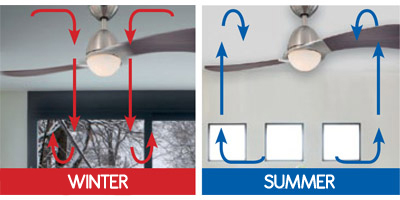 In summer, it keeps your room cool by turning your fan counterclockwise. The winter function, however, rotates clockwise, to circulate the hot air that tends to move up and accumulate on the ceiling of the room. - Rooms up to 13 m² - Use fans 107 cm or smaller. - Rooms between 13 and 17.6 m² - Use fans of 107 or 132 cm. - Rooms of over 17.6 m² - Use fans of 132 cm or more. - Rooms of over 25 m² - Wonderlamp.shop recommends the use of more than one ceiling fan. The minimum height to install the fan is 2.40 m above the floor, in case of heights above 2.80 m an extension tube is required.